There's truly no one like us. Founded in 1894 through a private donation, Winchester Mt. Vernon House continues to place the care of its residents and the importance of their connection with the community above all else. 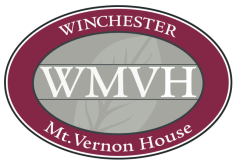 And because we’re a private, non-profit charitable entity, we’ll never be sold to a big corporation, but continue as we always have: honoring and caring for the people who make Winchester wonderful — its citizens and their families. "The Mount Vernon House is a gift to our community. We are grateful our mother is in the loving care of the Mount Vernon House. We thank you, the Board of Directors, for the work you do to support this very special place." Copyright ©2016 Winchester Mt. Vernon House. ​All rights reserved.